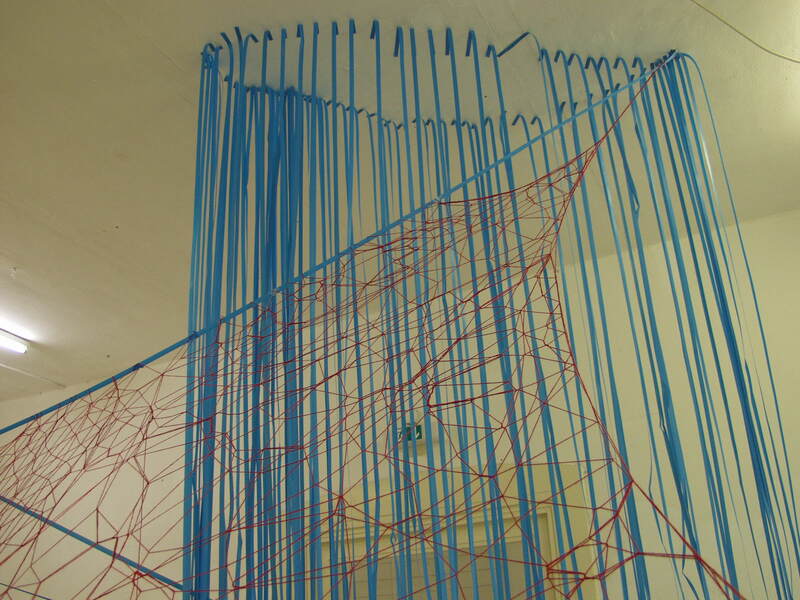 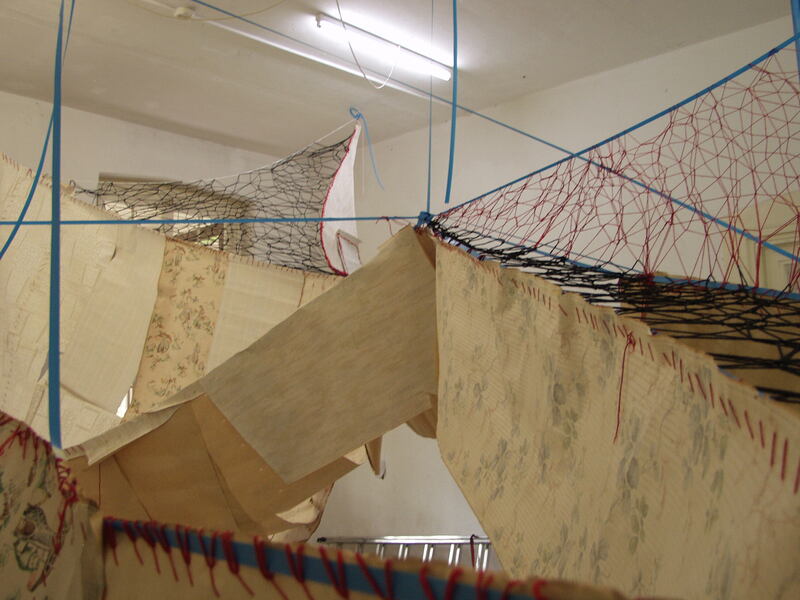 For a project at Artoll In Bedburg-Hau, Germany in May 2012, I spent a week in the Artoll building set in the middle of a psychiatric clinic, accompanied by a group of other Fine Art students from Arnhem and Enschede. 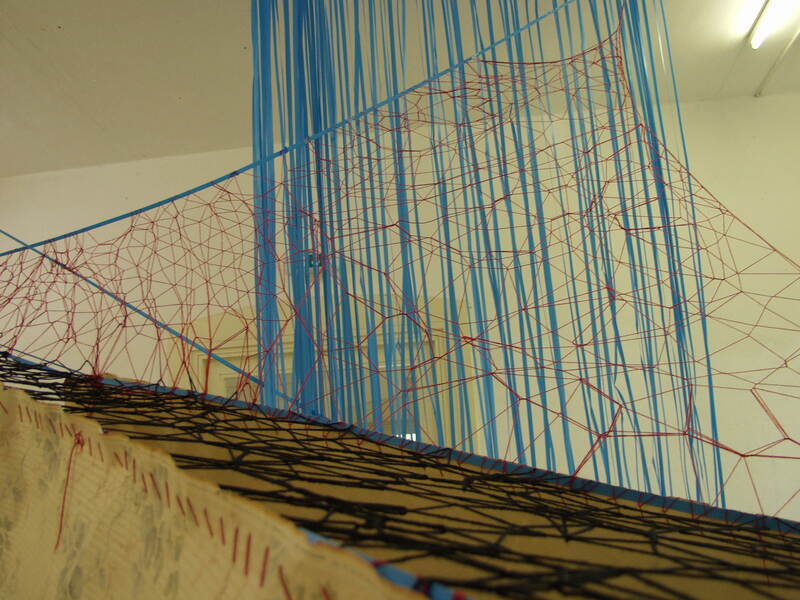 In a short week, we created site specific work and ended with a one day exhibition. 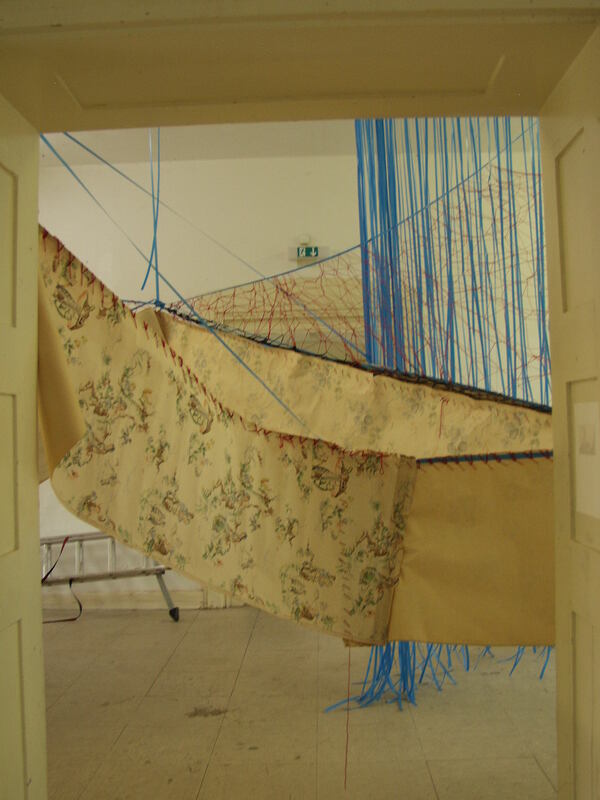 I created a site specific installation in one of the rooms, using wire and wool, as well as old wallpaper which we found in the attick of an old ruin located at the premises. 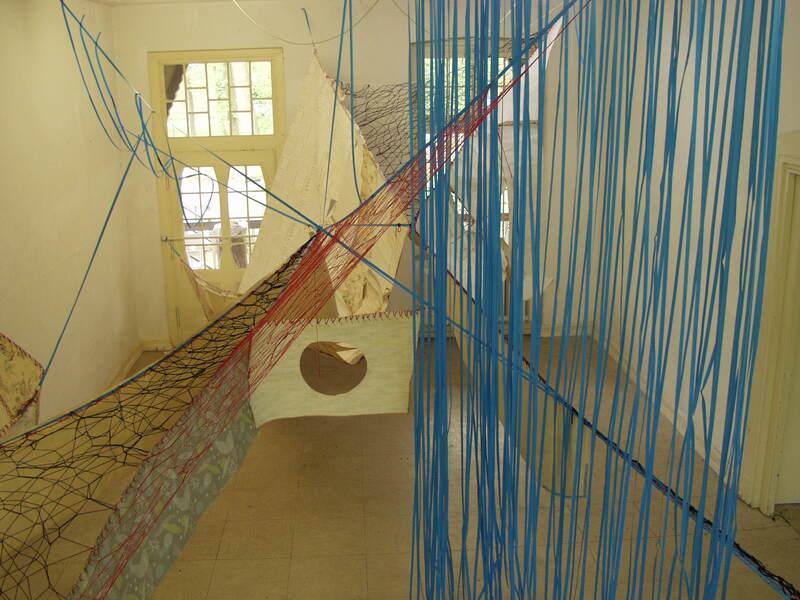 The work is titled “Gedijen”, and visitors were led through it by the way it was constructed. 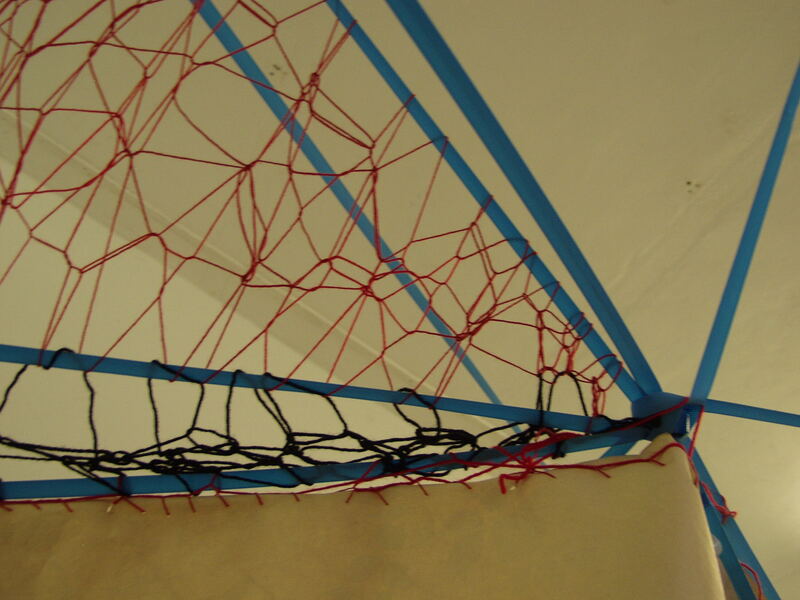 I filmed the proces, a link to this film can be found on this page, as well as photographs of the work. 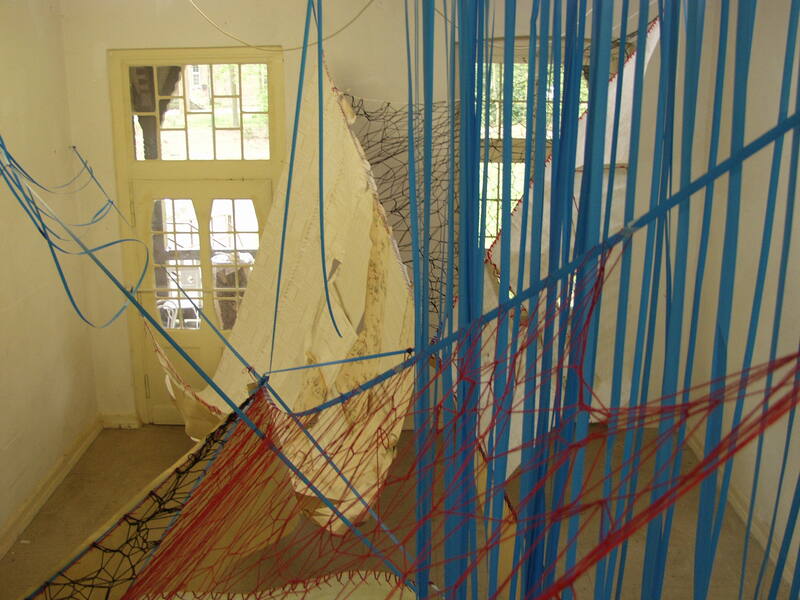 The work was deconstructed the day after the exhibition.